WEST CHESTER, PA--(Marketwired - Nov 14, 2017) - According to the American Diabetes Association®, approximately 1.5 million Americans are newly diagnosed with diabetes every year. 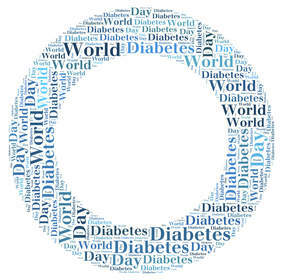 November is American Diabetes Month®, an annual event designed to promote awareness of the disease's challenges. The Exton, West Grove, and West Chester eye doctors at Chester County Eye Care are using this time as an opportunity to educate their patients about the relationship between diabetes and certain eye conditions that can have a serious impact on their vision. Proliferative diabetic retinopathy is an advanced, latter-stage form of the disease characterized by the growth of abnormal blood vessels on the retina, which can ultimately cause the leakage of blood into the center of the eye and lead to cloudy vision, dim vision, dark spots, lines across vision, and significant visual impairment. The eye doctors say that, when left untreated, proliferative diabetic retinopathy can result in permanent vision loss. With that in mind, they note that experienced ophthalmologists can often diagnose diabetic retinopathy, track the progress of the disease, and offer the appropriate treatments to slow down the progress of the condition and preserve as much of the patient's vision as possible. In addition to diabetic retinopathy, the eye doctors at Chester County Eye Care say patients who are diagnosed with diabetes are more likely to develop conditions such as cataracts and glaucoma. While both of these conditions are common and can often be easily treated, the doctors recommend that patients who are diagnosed with diabetes schedule routine eye exams to closely monitor any changes to their vision: "Early detection and diagnoses can be essential to effective treatment and ultimately protecting the health of the eyes."